All should remember that - though these forums use the word "tiled" - they are not in any way, shape, or form the same as a tiled lodge. With that said, all are advised to be very careful when it comes to discussing ritual or the internal business of one's lodge or Grand Lodge. All are also reminded that there are folks that have access to the "tiled" sections that may not necessarily be from Grand Jurisdictions recognized by your particular Grand Jurisdiction. so.. whats the point? and that sure does arise alot of thoughts in my head about that spot- hmmm...... thats not good. So you see no point in having a "Tyled" area.????? If there are people maybe shouldnt be in there.... then... Not sure. I will point out, Joshua, you could have someone show up in your Lodge too, who is not actually a Mason, but faked everyone out enough to gain entrance. The rules of this forum allow access to the tiled forums by some men that may not necessarily be recognized by your Grand Lodge. Example: A member of PHA of Alabama may be granted access. A member of the F&AM of Alabama may also have access. Neither recognize the other. Another example: The fairly recent period of time during which the Grand Lodges of Washington, DC, and New York redrew recognition of each other. My overall point is that the "tiled" forums should not be treated as though they were tiled lodges. They are not. They are simply places for more serious and sometimes sensitive discussions that we do not necessarily want to have in front of the general public. If they aren't tiled then wouldn't it be a good idea to remove the word tile so that there is no confusion? Have you a better word? 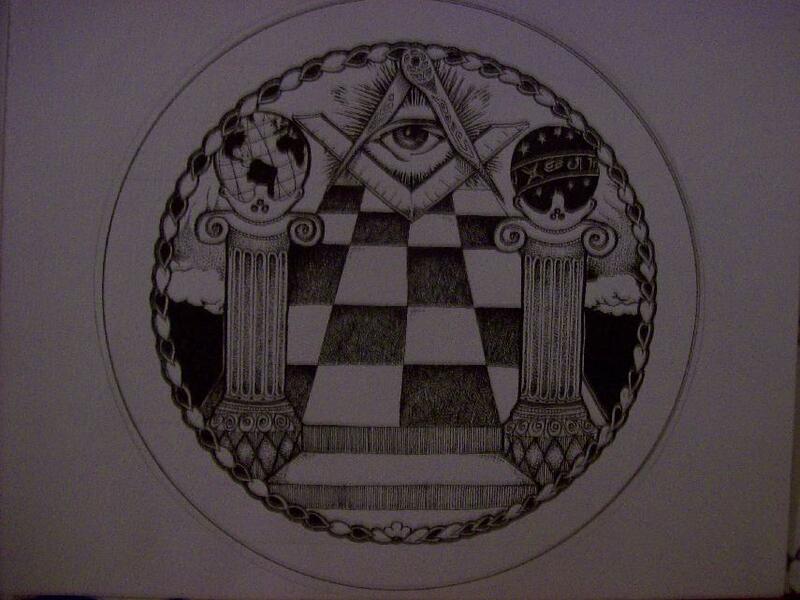 They are Tyled in the sense that one has to request access and prove himself to be a Master Mason to an Admin or Mod. .... Other than that the "Tyled" forums are private and for the discussion of masonic topics normally done in private between Master Masons. Think of it this way, you personally, haven't determined the other participants to be true masons. 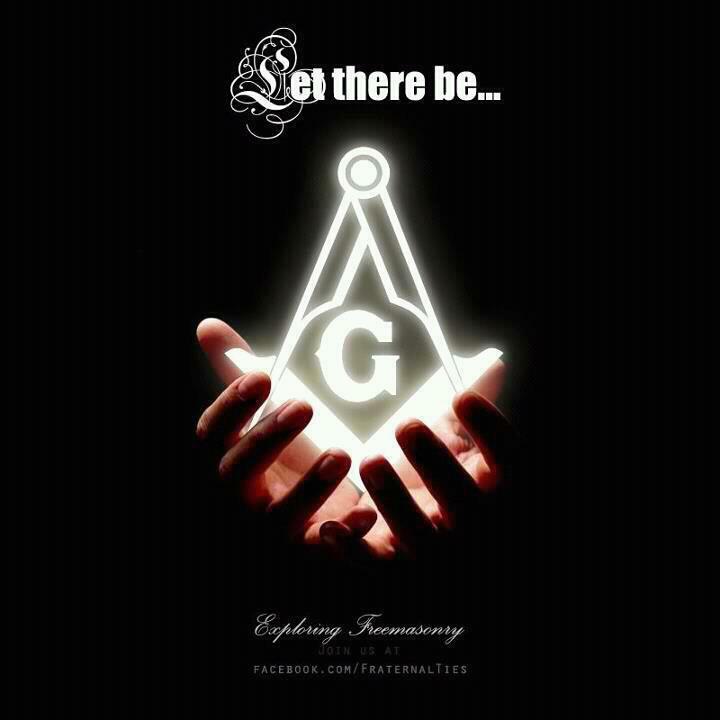 Those that have determined the participants to be true masons are unknown to you. I would treat the "tyled" area to be like the post-lodge refreshment. You are surrounded by Brethren and can speak freely as a Mason, but without revealing anything that you would in the lodge room itself. So yes, there is a reason to have a restricted area, but by no means does that mean you should speak of any secrets. Grips, Words and Signs is what they consider "Secret" here in mi. But i tend to be very discreet about mostly everything else as well. I'll discuss bits and pieces but vaguely. Even less that what is given to new Brother to share with their Family here. The GL has a program that most Lodges have implemented called "Share the Secret", where the newly Initiated, Passed and Raised Brother is given booklets to share with his Family that basically says what happened to Him and what it meant. Was cool when i went thru, but i dont Know if i like it now very much. Hmmm, the problem I see is that I simply filled out a standard registration form for this forum software, got an email, clicked a link and I have access. So, I could be a profane for all everyone here knows. You only have access to the Public Forums, not the Tyled Forums. You will have to prove yourself for that access. I thought the same thing until I proved up and a new forum header became visible. Reading the signs and smelling the roses on my journey to that undiscovered country from whose bourne no traveler returns. Kamatu, are you a mason? If so, where do you hail from? Imho, this site is very helpful for those who aren't masons to get helpful advice on facts and fiction of the craft and how to go about becoming one. And for those who are regular masons and wish to speak masonically, there is the tyled forums, which you have to prove you are a master mason of a regular masonic lodge. Both prove to be good a nice conduit for communicating with masons from around the world, if you enjoy healthy conversation. Aha! So this is a clever trap to deceive those who are not one of us! Since it talks about tyled access, but it is only an introduction. Sorry, I've been reading too much antimasonic poo-poo lately. So, how does one prove themselves? Nevermind I read the sticky. Seems to me that the profane say that to the Tyler, when they try to enter a Lodge also. We are slick, ain't we? I read everybody's Post's and replies and some are quite funny, what is the job of the tyler.... how does he do his job.... Gents that is what i see happening, keep up the good work Palmetto! CAn i get a admin to question call me so i can get access to the tiled rooms. simply put if you gonna treat it like a lodgethen do so..
"The first and constant care of Masons when convened?" Will there be a understanding that there is no universal grand lodge over all. One jurisdiction may not be similar to another even in there own state, county, or city. Actually this isnt a the tyled forums your still in waiting. like i am. wish someone get me on that black and white. Im scared of the dark. so how do i gain access to this "tyled" forum? Better Yet, .... You MUST PM a Mod or Admin and ASK! ... That is so stated in the sticky. the discussion of masonic topics normally done in private between Master Masons. Actually they don't! When i registered i was expecting to have to prove myself a M.M,but all i had to do is put some info in about myself. so in that respect I would have to say you would have to watch your tongue on this forum. If it isn't readily available to any non mason then I wouldn't talk about it here! The tyled forums are not visible to the public. You have to prove yourself to be a regular master mason to gain access. This is the public forum you have access to which is open to mason and non-mason alike. I submitted my request to Palmetto Bug via PM. I will be interested (when the time comes) to see how I am tried and tested by the Tyler here. I have found from another Masonic Forum online that the methods of testing in the North American constitutions are very different from ours in Grand Lodge of Scotland. I was once given a series of questions that frankly I had some difficulty answering due to differences in ritual and in how questions may be asked or phrased. Lodge Lane Xang 1632 on the Roll of the Grand Lodge of Scotland. What they are trying to say is that with how this forum is set up, there might be someone in the tiled area that is not recgonized by your grand lodge. Each person with access to those areas has proven themselves to be what they are, EA, FC, or MM to an admin or mod. But even with this, not all jurisdictions recgonize others. For example, I live in NC where the GO of NC does recgonize the MWPHGLNC but I can not drive an hour down the road to SC and visit a PHA lodge there because there is no recgonization there. That being the case, there probably is at least one Brother in the tiled area that is a PHA mason from SC. In order to gain access to the "Tiled" Forums, a Forum member must stand an examination to prove that he is a Mason (EA, FC, or MM) in good standing. In order to pass the examination and prove himself, he and the Admin/Mod administering the examination must exchange Masonic information that would include the modes of recognition. 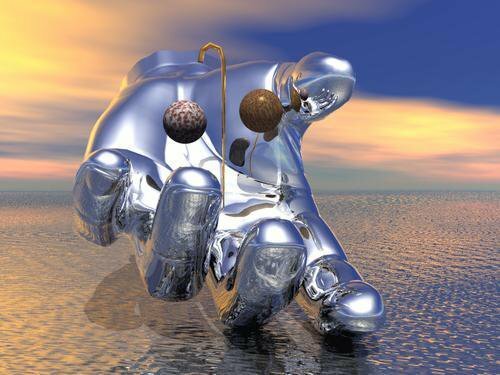 The modes of recognition are part of the body of Masonic information that is considered secret. The possibility does exist that a hacker could obtain access to all areas or the Forum including the "Tiled" Forum and the Private Messages of all Forum Members. If such unauthorized access to the Forum did take place I would have violated my EA Obligation. That's why we must all take the greatest care in discussing ritual etc. What might be OK in some jurisdictions, may be completely unacceptable in others. If in doubt, say nothing. That is a problem with electronic communications. There is nothing in this forum that is secure. Packets are unencrypted and can be "captured" at any place along the lines from your computer to the server. A man in the middle attack would open up everything you send on the internet to someone with the knowledge to do it. These forums do not use encryption or a secure tunnel for communications. Always assume that anything you type can be viewed by a profane. Even if it were secure, there are some in the tyled area that your GL might not recognize. In my case, the GL of NC does recognize PHA for instance. However, they only recognize the mwphglnc as regular. They do not recognize PHA in other states as yet. It is that way in many states. That means that we can not carry on masonic communications with PHA members in other states. That makes the tyled section less tyled even. I understand the perils associated with posting in the "Tiled Forum". That can be easily overcome by not posting anything that could violate my obligation. My major concern is with what I would have to reveal via Private Message to gain access, if as I stated above it would require disclosing modes of recognition, the possibility of an unauthorized person accessing the Private Message would bother me. No one has addressed that. The private messages can not be accessed by an unauthorized person. The only one accessing them is the owner of that mail-box. So you are saying that the Forum can not be hacked. Of course it can be hacked... the same way your personal e-mail can be hacked, the e-mail of the secretary of the lodge, the Grand Secretary... the same way someone can steal your mail from your mailbox. I see masonic.truth's concern about the hacking. Especially since there would have to be some masonic discourse to get approved into the tyled forums. That may not necessarily be the case for a GM email or a Lodge sec email. But I don't think mailbox security on a forum is something to be worried about personally. "You can't trust those fellow-crafts...buncha rogues and murderers!" In one of your above post you referenced the OBs' the OBs are about "willfully & knowingly" relieving Masonic secretes; or doing so without due regard and thus carelessly reveling the secrets to those not entitled to receive them. .... Yes these forums could be hacked ( but that wouldn't last for long); but this is no less than your Lodge being bugged or someone turning on their CELL PHONE during ritual. .... These are not you fault and not a violation of your OBs. It is not intended to hold "Tyled Lodge" meetings in the forums. ... But what the Tyled sections are to provide private area for discussions; and to assure the Members those with access (Quarrymen) have been have been Tried (by admins or Mods) and found to be Master Masons. .... It is up to you, and your OBs, as to how open your discussions are. ... Not everyone is comfortable with everything that maybe discussed. Next, being tried in PMs: ... None of my questions when correctly answered will cause a Mason to violate his OBs. ... Now you have to realize the same as when visiting a Lodge for the first time; you are the one at the Door asking to enter; They (Tyler, SD, WM, Lodge) have the right to Try you and are required to find you worthy before allowing you to enter. ... The same with these forums, we don't invite you to join the Tyled forums. YOU have to PM an Admin or Mod and request access. .... Some say to me (admin) "how do I know you are a Master Mason?" ... The answer: You should have already determined that before asking for "Tyled access". The same as you would before visiting a new Lodge. .... You can be assured the Admins & Mods are, and know what they are doing. I have stated before, I can vouch for every Quarryman on the Forums; either I, another Admin or Mod has made the proper inquires. I can personally vouch for "edwmax, Palmetto Bug, MikeS & Daves" as I have sat in Lodge with these Brothers. This is the case with a few other Admins/Mods who have done the same. It really all boils down to this, the Tiled Forms are not a requirement for users of this group. If you have an issue with the method used to gain access you can either visit an Admin's /Mod's lodge and personally sit with them or just leave it alone altogether. I am simply trying to make sure I understand the process, so I will make another attempt to gain the information that I seek. I have been informed by one source that he was not required to provide any "secret" information in order to gain access. An examination to gain access to a Tiled Lodge would require the exchange of the Modes of Recognition, which are "secret". So, does an examination by an Admin/Mod to gain access to the "Tiled" Forums require the exchange of the Modes of Recognition? What is the problem? Not all Admins/Mods have the same process. I will sometimes call to get a physical description of a person and have the requester to provide a copy of his drivers license along with a current dues card. Sometimes I will simply ask questions. If a dues card does not have a member number I often request it and then verify with their GL using personal resources. There are many ways to find out with actually providing "secrets." No problem here, just trying to get a straight answer in order to make a decision. Is there a problem with that? I can vouch for flotown's strong arm guarding the gate of the tyled forums.